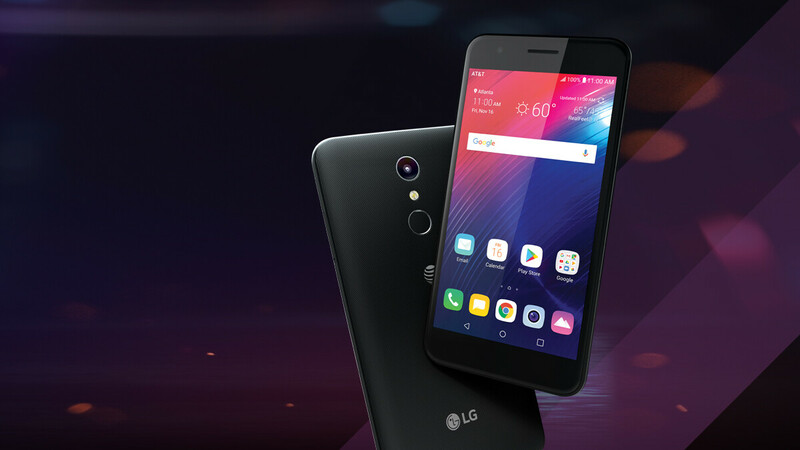 LG and AT&T today released the Phoenix Plus, a new Android smartphone that's exclusively available on AT&T Prepaid. Priced at $129.99, the LG Phoenix Plus is only the second AT&T Prepaid handset to run Android 8 Oreo out of the box, after the Samsung Galaxy Express Prime 3 (released earlier this year). The LG Phoenix Plus is notable for having a fingerprint scanner (situated on the back) - a feature that affordable AT&T Prepaid phones don't usually offer. That aside, the new handset is unsurprisingly not a powerhouse, its specs including a 5.3-inch TFT display with 720 x 1280 pixels, a quad-core Qualcomm Snapdragon 425 processor, 2 GB of RAM, 16 GB of expandable internal memory, and a 3000 mAh non-removable battery. The new LG smartphone also features DTS-X Virtual Surround Sound (for enhanced 3D audio experience via headphones), an 8 MP rear camera, and a 5 MP front-facing camera with bokeh effect for selfies - LG is calling this "Portrait mode", but we don't know how well it works in real life. If you think the LG Phoenix Plus is a smartphone that answers your current needs, you can order it from AT&T via the first source link below.